Beaver Creek is a beautiful, upscale, ski resort offering the finest of all things, winter or summer. It offers exceptional skiing, dining, apres-ski activities, shopping, and the serenity to find yourself again. Our condominium is furnished in a true Rocky Mountain motif with antler chandelier and a real country 'cozy' feeling. 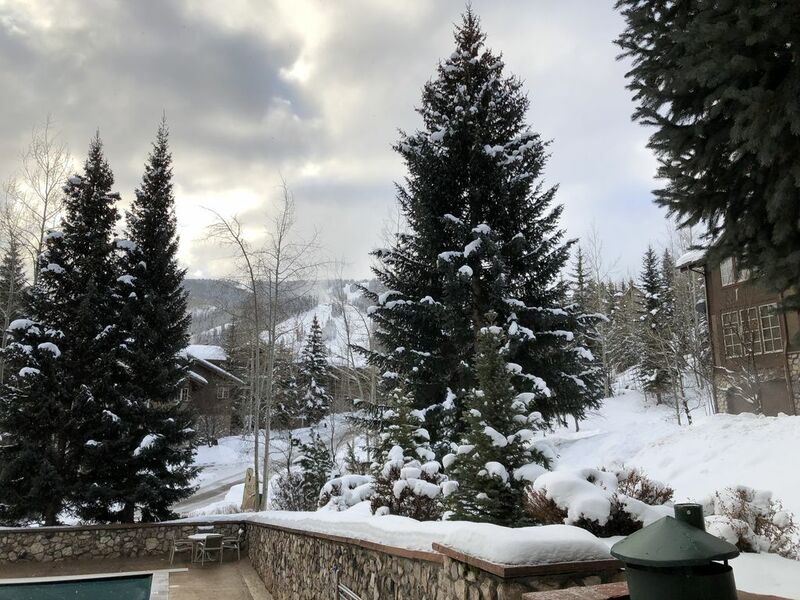 It looks out on a magnificent view of the slopes and when you are ready to ski, simply step out your back door and the chairlift awaits you for true ski-in/ski-out convenience. Do not miss the only North American experience of village-to-village skiing connecting Beaver Creek with Bachelor Gulch and Arrowhead. We have been enjoying our second home in the Rockies for many years now and have come to enjoy the summer even more than the winter. You too may want to experience the sheer beauty of this valley in the summer with so many activities to fill your days. Our condominium is renting for a bottom-line 35-40% less than offered through management services, so the savings can go in your pocket not theirs! This condo offers the best of all worlds. It is a five minute walk to the village but is secluded and very peaceful. It has the chairlift 50 yards from the back door for true ski-in ski-out convenience, yet you can also go out the front door and catch a shuttle every ten minutes to the lift ticket or ski school areas. True ski-in ski out access. Just walk out the back door, put on your skis and slide 50 yards to the chair lift which will take you up the mountain to all access. Beaver Creek is an amazing place for a family vacation that will not be forgotten. It is known for its attention to details regarding the guests of this ski resort which is why it is so family friendly. Our condo in the Borders Lodge continues with that type of tradition.